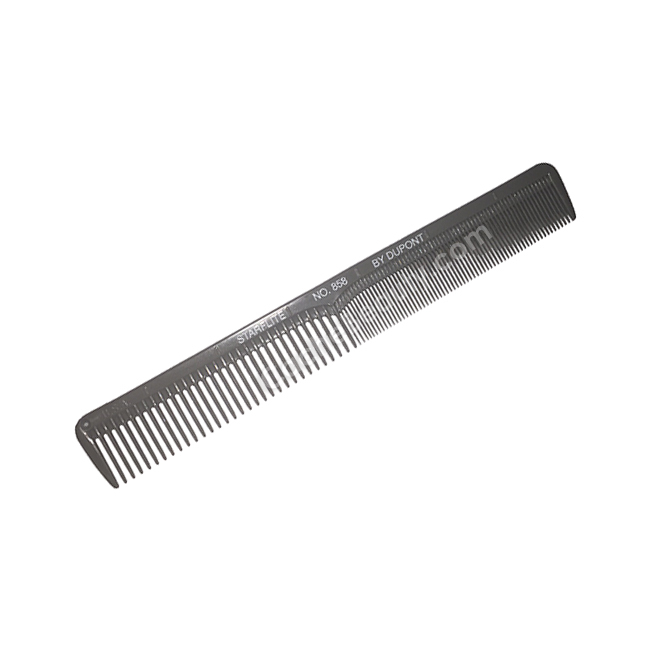 A virtually unbreakable comb...if its not lost or stolen it will last a lifetime. The Starflite Comb is static free. The teeth have been heat treated so that they do not scratch the scalp. The material resists chemicals and heat. All are gray in color.